Thrilled to offer this spacious and pretty contemporary home built within a New England vernacular - an open Great Room, expansive first floor Master, and three en-suite Guest Bedrooms, along with formal and informal dining, and more for a home office and den. Located at the end of a private shared drive with a big long rocking chair porch facing south along with a screened porch. There are two oversized garages below, and a huge basement ready for buildout, other than the existing pingpong room, and another first floor single-car garage for a collector or just convenience. High-end appliances, infrastructure, and heating and cooling equipment. Fiber available. Move in condition. This stunning Contemporary is a ''little piece of Heaven'' perched on 7+ acres of privacy with a sweeping view of the Berkshire hills. The designed sleek interior with monochromatic wall colors brings nature and light in, evoking tranquility and harmony with every vista seen through generous and strategically placed windows or from the generous deck & patio surrounded by lovely perennial gardens. Soaring ceilings with open floor plan and high-end finishes make this the perfect home for entertaining a crowd or intimate gatherings. 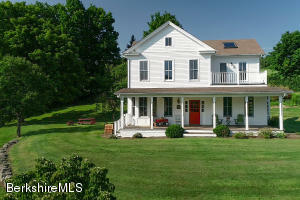 This three bedroom, three bath residence with separate guest suite, located minutes from the Village of West Stockbridge and just a short drive to Tanglewood and everything ''happening'' in the Berkshires is a must see!! Whether it's outside or within this home, you find yourself appreciating the beauty and convenience this Otis Reservoir waterfront home offers. Very large bedrooms, 2 of which have wood burning fireplaces for those cozy evenings. Perhaps a holiday gathering in front of the 3rd well appointed fireplace in the living room. Exceptional outside living for those Berkshire summer days. Watch the sunset from the screened porch, deck or your lower waterside deck. Plenty of room to gather with family and friends. Find yourself using this home all seasons - it's ready for that and ready for you! 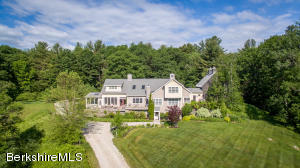 This outstanding 140+ acre property, with a picturesque 2,379SF Cape, is located very close to the center of Monterey, a terrific Southern Berkshire County Community. Several well-maintained outbuildings add to the utilitarian value of this expansive one-of-a-kind property, which is coming to the market for the first time in decades. 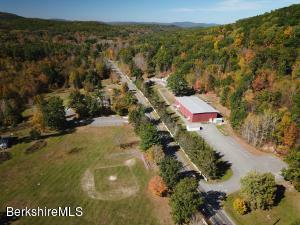 An outstanding 140+ acre property ideally located within walking distance to the center of Monterey, a terrific Southern Berkshire County Community, which is the 4th lowest real estate tax district in Massachusetts.This listing includes in excess of 1400 feet of frontage on two paved roads. 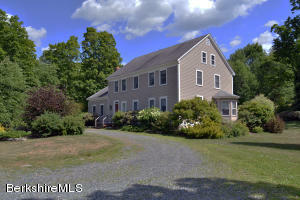 Water views of a delightful 20 acre pond are also provided.Must be seen to be appreciated. One Main Street, Stockbridge features not only one of the most evocative addresses in America but also one of the finest golf course locations in Berkshire County. 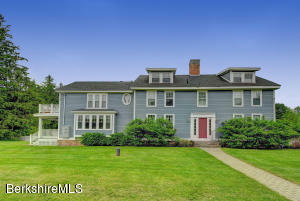 Ideally situated adjacent to the 2nd green of the Stockbridge Golf Course with no immediate neighbors this lovely historic colonial home is private yet convenient to everything. 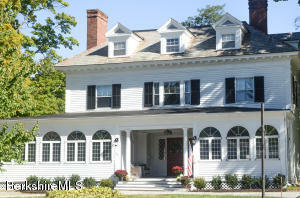 Stroll up Norman Rockwell's Main Street for coffee or a cocktail on the porch of the Red Lion Inn. Walk to the clubhouse or the tennis courts of the Stockbridge Golf Club. Minutes to Tanglewood. Four bedrooms, four and one half baths. Tastefully decorated throughout. Large private flat yard with plenty of room for a pool or gardening. Truly a unique opportunity. SPACIOUS, LIGHT FILLED CONTEMPORARY. 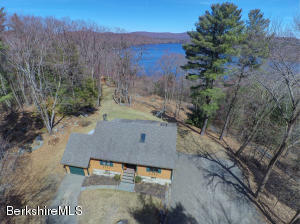 This 3 bedroom, 3 bath house in mint condition is nicely sited in a 16 plus acre wooded setting, yet only minutes to Great Barrington for shopping and entertainment. Be lulled by the soothing sounds of Roaring Brook, a seasonal brook which runs through the property. The living spaces are large and airy with high ceilings. Gleaming cherry floors run throughout the house. The first floor offers a room which could serve several purposes to suit your needs- study, office or additional bedroom. Master bedroom with unique wall insert fire feature and en suite bath on second floor. Two additional bedrooms share a bath on the second floor. 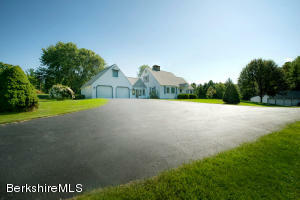 Large two car attached garage, and unfinished basement loaded with possibility. Many maintenance free features. Goose Pond Lake View Like No Other. Watch the eagle soar high above the lake, your jaw will drop when you enter looking out the window walls of glass. 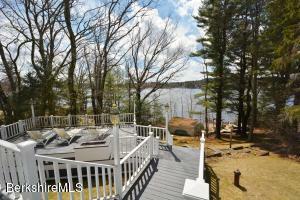 Breathtaking lake view with deeded beach rights. Sip wine on the porch or on the granite hearth of the fireplace that is the center piece of the living room with tiger maple built in surrounds. Family and friends will gather in the bright open plan. Four bedrooms plus four full bathrooms, beautiful wood floors, cathedral ceilings, french doors from master to patio all on a very private lot. Sit in the gazebo and listen to the sounds of wildlife on the pond. This property will delight in every way. Conveniently located minutes to all Berkshire attractions. Please see the 3-D/VR here: https://my.matterport.com/show/?m=LLjZ7QACvUU&mls=1 This spectacular contemporary enjoys an equally spectacular westerly view over Tom Ball Mountain with beautiful, colorful sunsets. The new great room with a soaring fieldstone fireplace and full bank of windows takes in the view as do most of the rooms in the house as well as the beautifully landscaped patio with its Goshen stone walkway and stairs. Central air conditioning, 3 car garage, and room for everyone and every need. 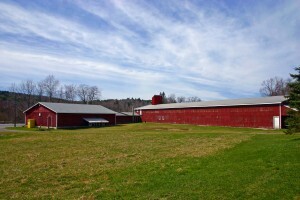 Perfectly located just 10 minutes to Great Barrington, Stockbridge and West Stockbridge town centers. A unique opportunity to own a piece of history! Built in 1891, this stately three story brick building was formerly known as the Windsor Hotel. A prime location in the thriving Village of Chatham. Major structural work has already been completed. Approximately 13,000 sqft of space to bring your ideas and your dreams to life. Two additional outbuildings a variety of uses or open space. A light, bright, very private contemporary country home, with an exquisite approach, on almost 14 acres of rolling meadows; featuring its own private swimming/trout pond, beach and dock. 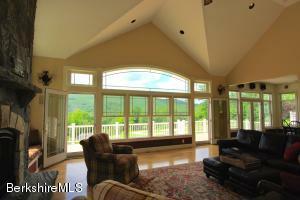 High ceilings and massive windows prevail, plus a 12 month glass porch, all overlooking a gorgeous setting. Designed for a large family, it offers an oversized master BR down, 3BRs + office upstairs and small gym on a lower level. Additional spacious guest apartment, with another master BR, bath and 2nd living room, can be an income producing rental, if desired. Located near skiing, hiking trails, the Monterey town beach boat ramp at Lake Garfield, and all the terrific Berkshire cultural venues. Many amenities; Verizon internet. You can change the house but you can't change the spot! Starting on a beautiful spot with 100 feet, this gorgeous waterfront home has been created with great ideas, select materials and the craftsmanship of a fine local builder. All of this work was done in the best of taste. You can appreciate the views of the lake from an easy chair in the living room in front of the soaring stone fireplace or the well appointed deck. Whether you are planning to boat and swim or come to ski and snowmobile it's all ready for your enjoyment. 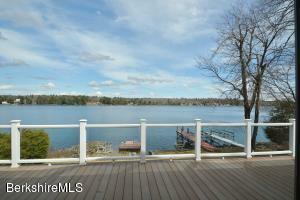 If your ready to start enjoying your waterfront dream home we can make this a reality! Bathed in natural light with breathtaking views of Mt. Greylock, this recently renovated property offers the best of the Berkshires.Recent improvements include new kitchen appliances and granite countertops,renovated bathrooms,cellular window blinds,new exterior lighting and fixtures. 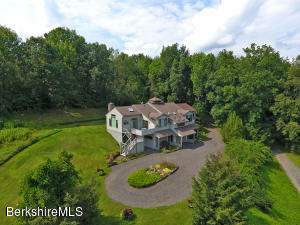 With a combination of forestland and lush pastures complementing the views,the beautifully landscaped property includes a two story barn, abundant stone walls and gardens, mature specimen trees and a pond.Taking full advantage of the southerly vistas, an expansive deck can be accessed from every adjacent room.A dramatic great room, a spacious open living/dining room/kitchen, an entertainment suite and 5-6 bedrooms(4 ensuite)provide this property with wonderful flexibility for your ultimate Berkshire retreat. The house and landscaping have been lovingly and meticulously restored by the same family for over 30 years. The Umpachene River runs 1000 ft through it. 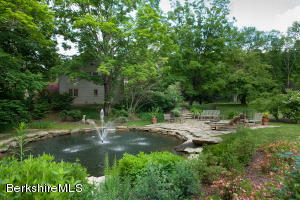 There are 2 landscaped ponds, one with fieldstone steps to a patio area with a firepit, fountains and waterfall. The outside creates a spa like feel with the soothing sound of water flowing. Garden aromas intoxicate and enchant you. More land avail. A thriving business comprised of retail, wholesale, and restaurant with multiple parcels of land, road frontage, and buildings on nearly 25 acres. Known as the Otis Poultry Farm, this Country Store has been established for over 100 years and become an institution for the community and vacationers alike. 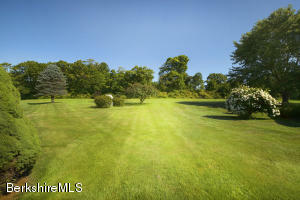 MOTIVATED SELLER (s) THREE PARCELS in Gt.Barrington, MA on North & South sides of (Rt#23 E) Monterey Rd. Formerly a campus with buildable land & existing fiber connectivity it is zoned residential (R-2) which by right include single family dwellings, government owned or non-profit educational facilities, municipal parks, agricultural uses & swimming pools. Uses allowed by special permit include two-family dwellings, lodging houses, private schools, summer camps, country clubs, and professional buildings. 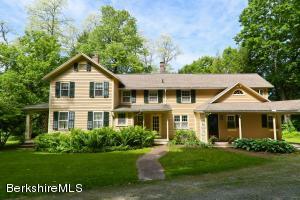 Easily accessible in the heart of Southern Berkshire County three miles from downtown Gt. Barrington this property being sold ''as is''.